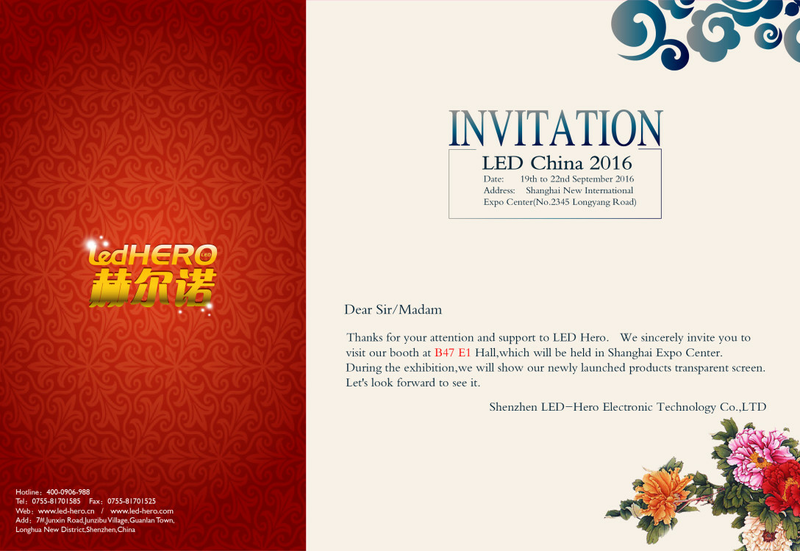 LED-Hero will be participating LED China 2016 from September 19th to 22nd in the world famous city of Shanghai. Please come and visit us in Shanghai Expo Center. Our booth number is in B47 E1 Hall. In this exhibition, we will be displaying you with our heated featuring LED displays including transparent LED display.